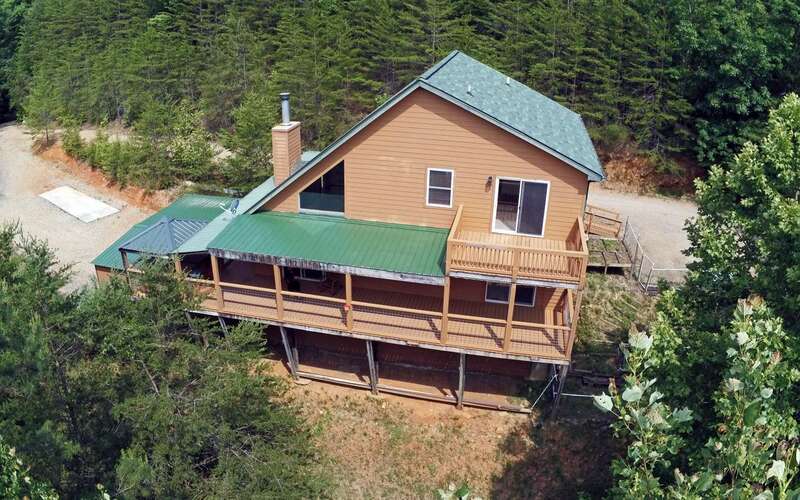 Sitting on Top Of the World! 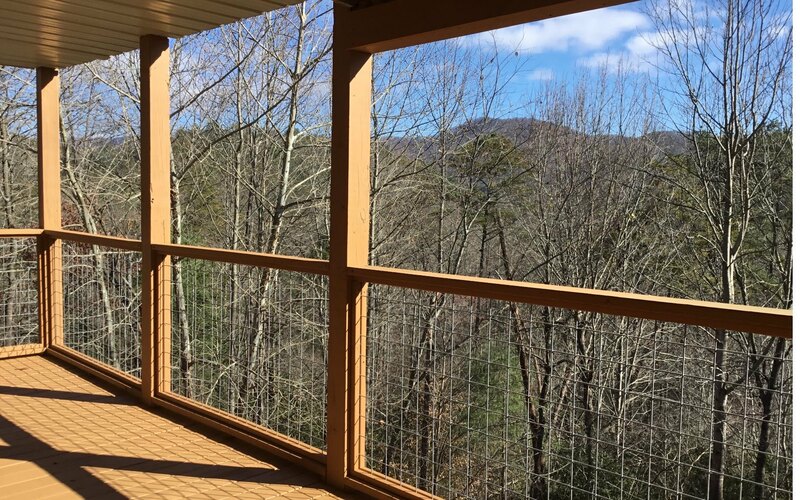 Mountain view, private and no steep mountains to climb! 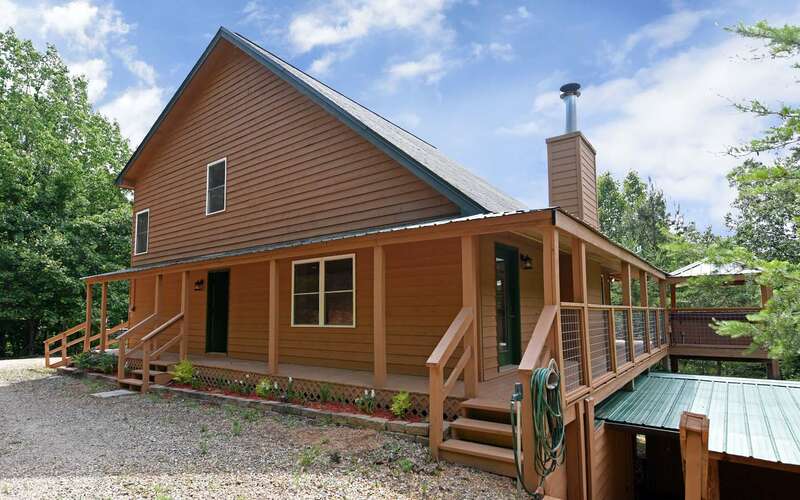 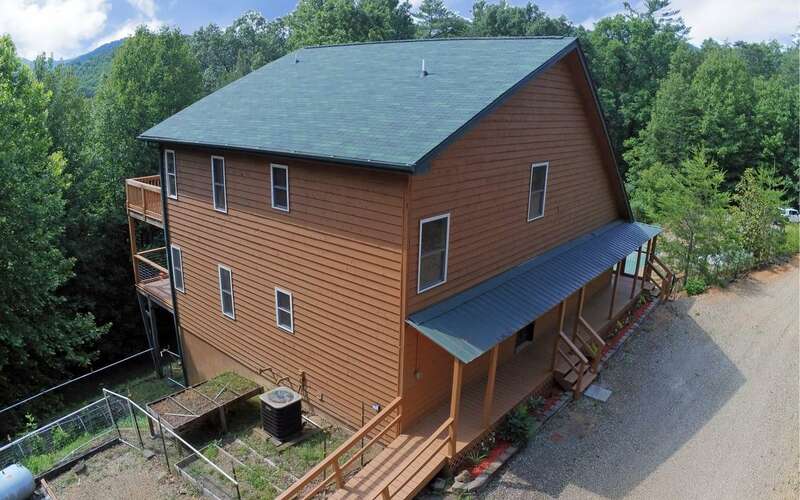 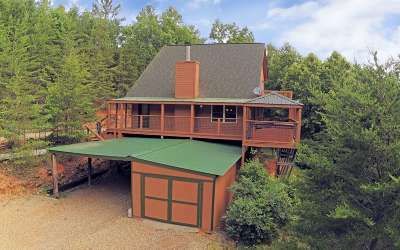 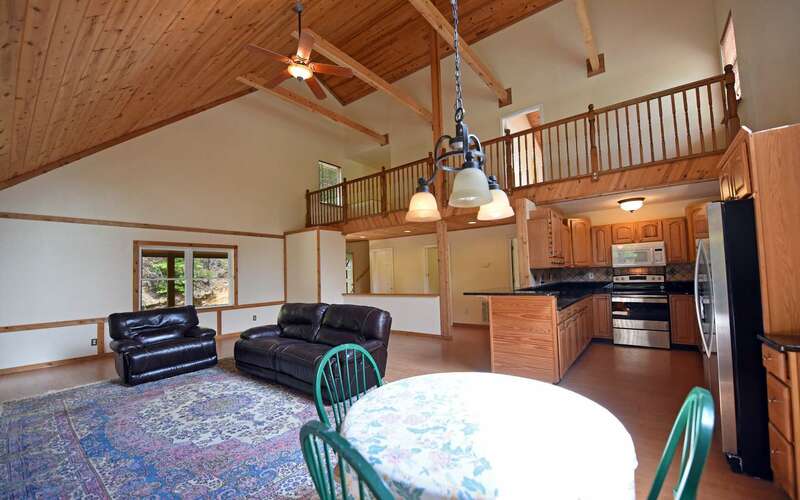 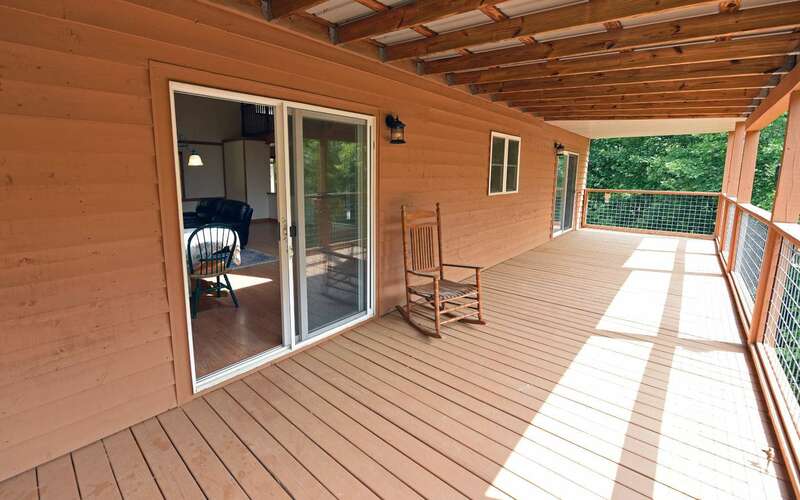 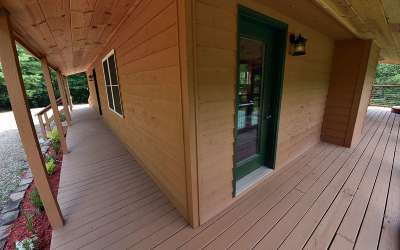 Spacious Cabin sitting on four acres surrounded by woods & near USFS. 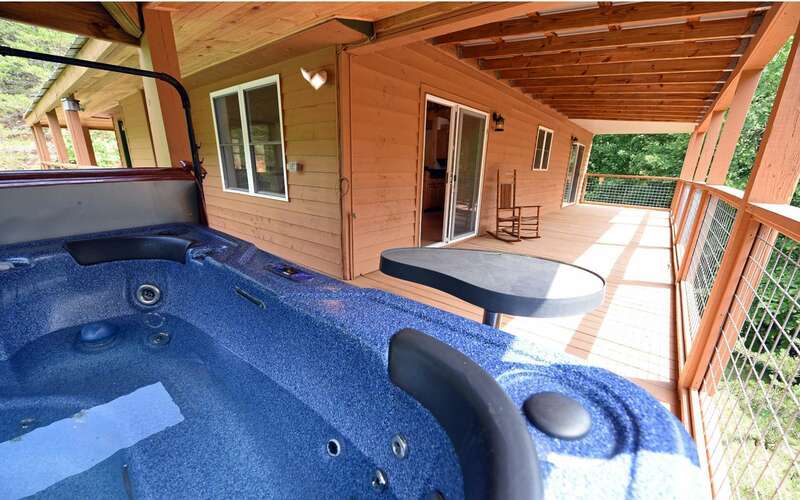 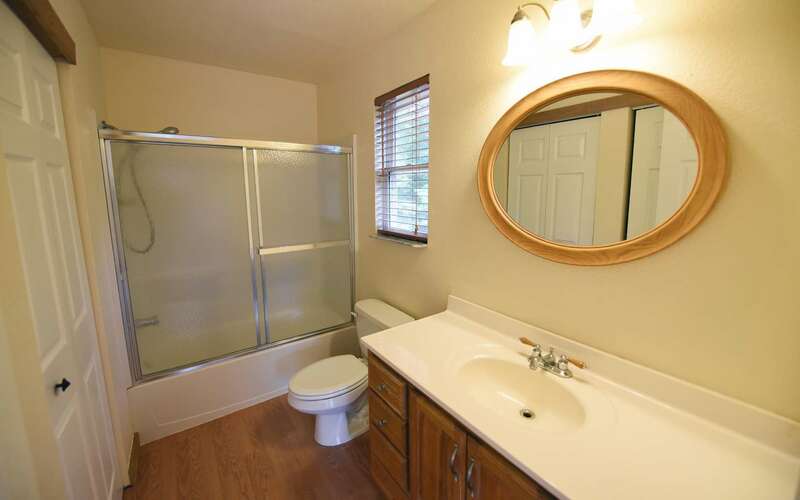 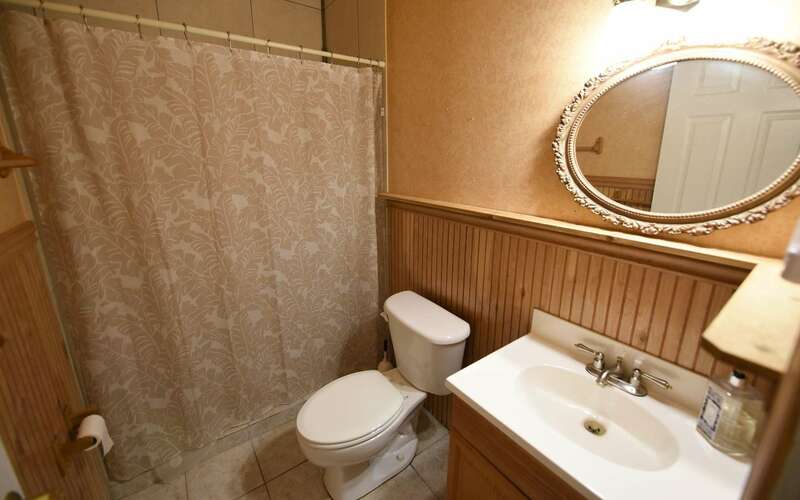 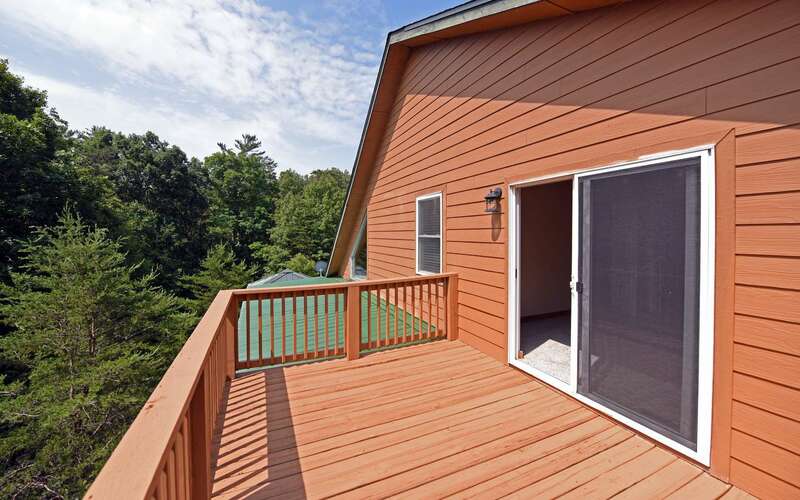 Covered, wrap around deck with hot tub, RV Pad / Hookup and plenty of room for family & friends. 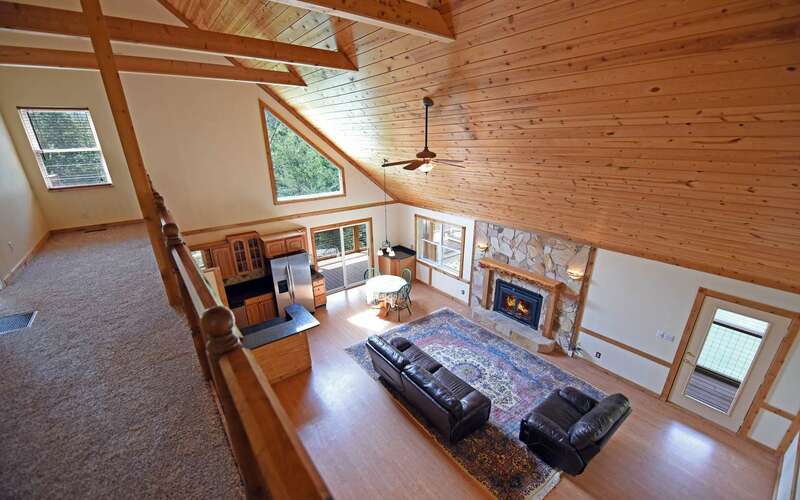 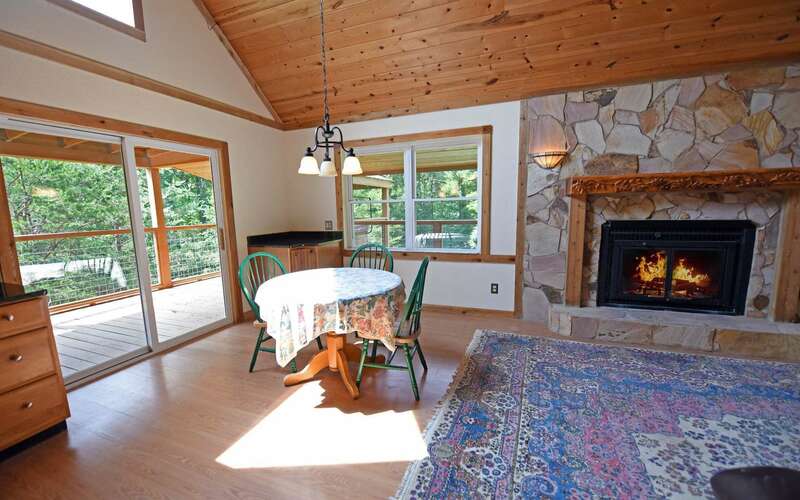 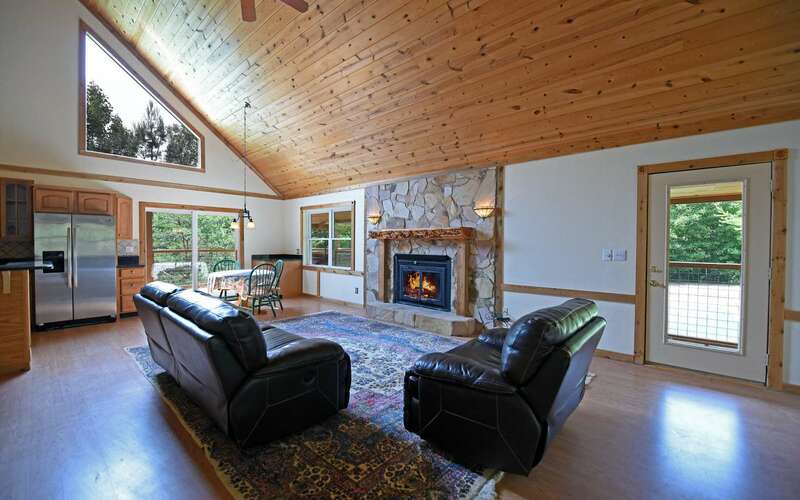 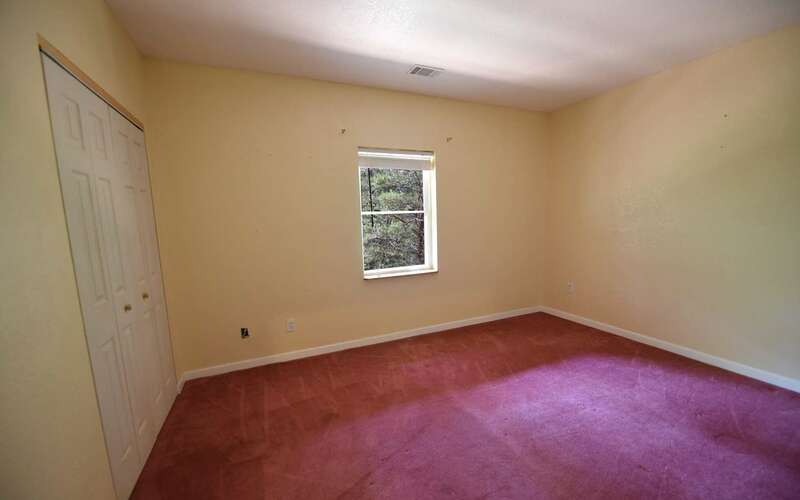 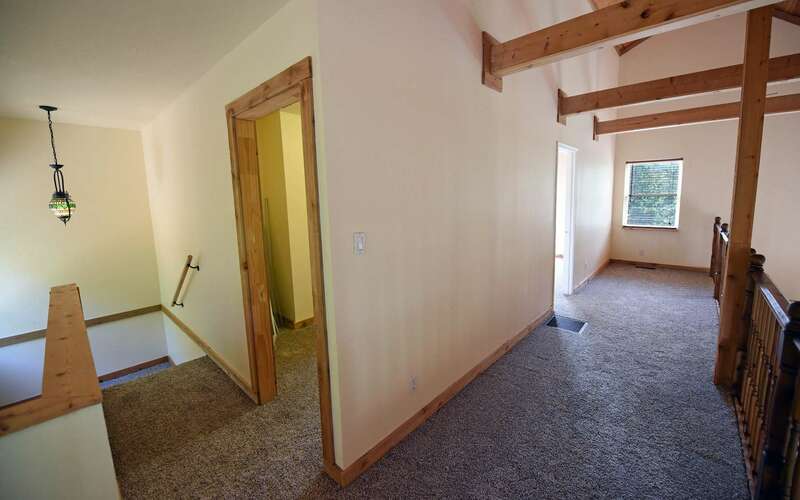 Vaulted ceilings, lot&apos;s of windows & stone-wood burning Fireplace. 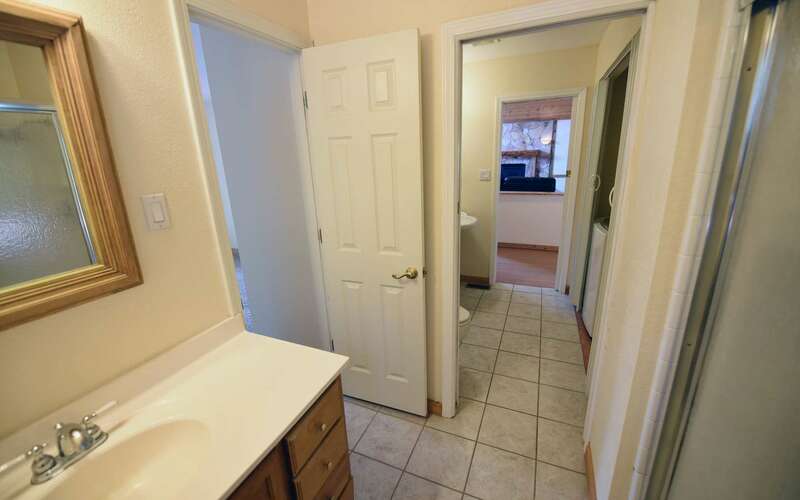 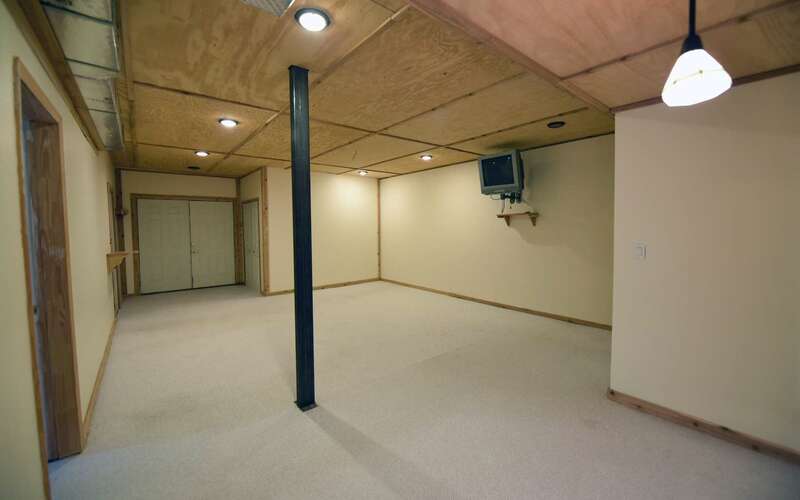 4 Bedrooms / 3 Baths + Finished basement - room for a pool table! 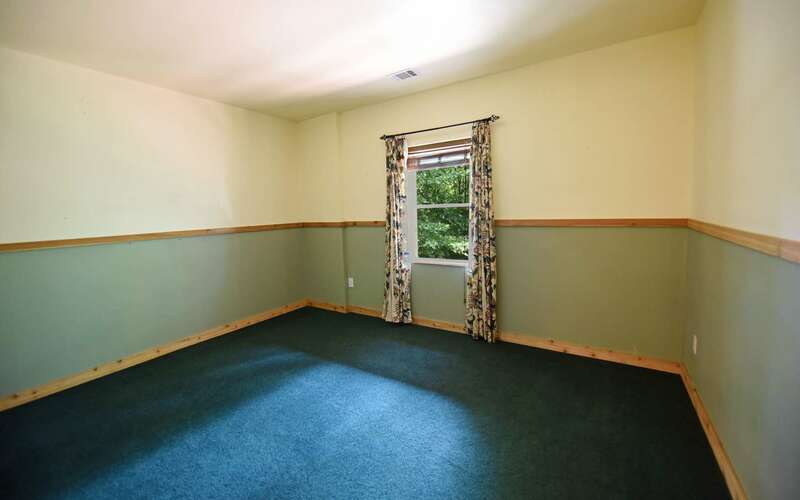 Workshops, lot&apos;s of storage space & garden spot. 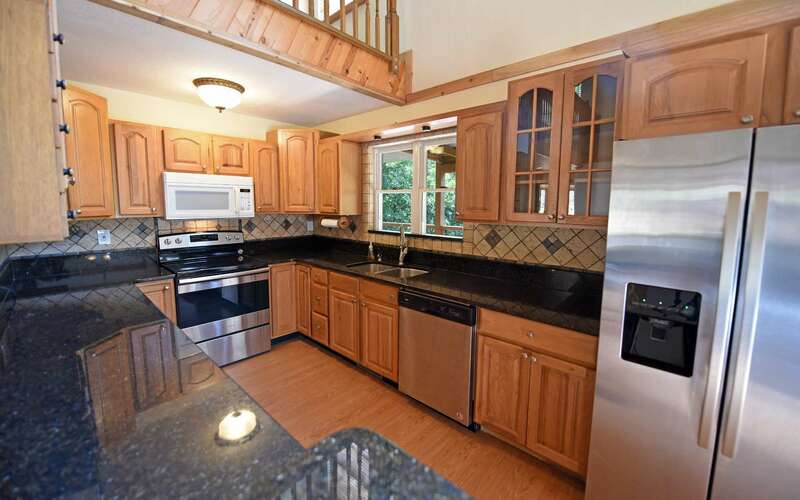 Open Floor plan, kitchen with granite & SS appliances. 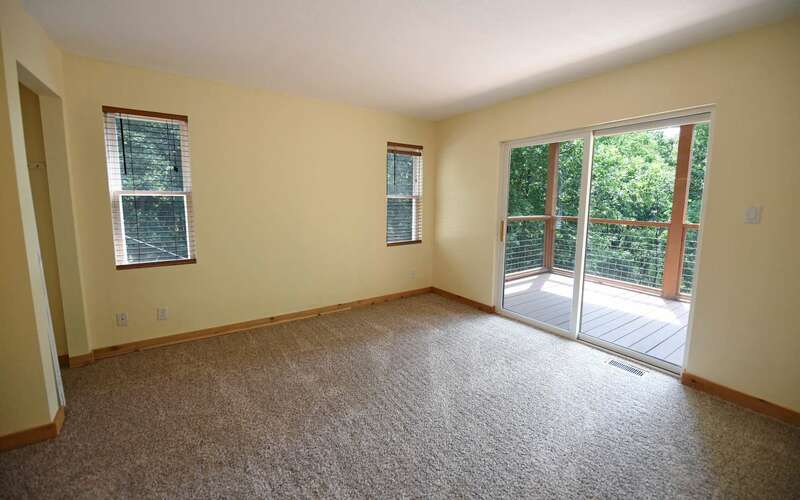 Large Master Suite with over-sized, walk in closet & private balcony to just relax. 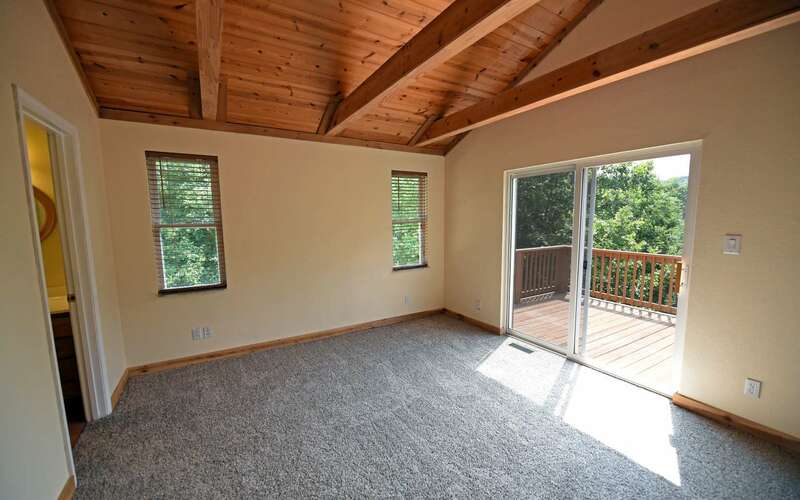 Loft area off master would make nice office or reading area. 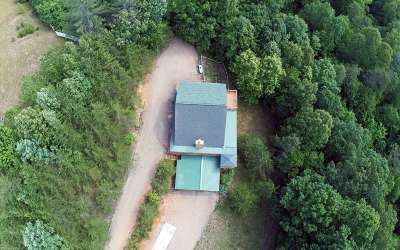 Close to the Nottely River & Town.